with all the horrible things bombarding us on the news almost every day, this is one of the good things our species is doing. the images here and the science they imply always lifts my spirits. Thank you Carolyn and the entire CICLOPS team, for being among the 'good guys' of the human species and giving so much of the good stuff to anyone who wants to take a look. Ciclops Team....Have another great year....you folks are the best. Cosmicart.....Take care and Happy New Year to you too. Featinwe.....You are so, so right!! Carolyn, this is one of the best entries here. What you said there is a quintessence of why I'm coming back to this place. You, CICLOPS allow us to travel in space together with Cassini and you make us feel as if we were really there, it's astonishing - thank you for that. It's a little late for Christmas wishes but not too late for New Years - I wish you more beautiful discoveries and a long long journey for Cassini, you and all of us! We will be posting a larger version of Michael's glorious painting come next week, when the CICLOPS staff is back at work. Cheers! 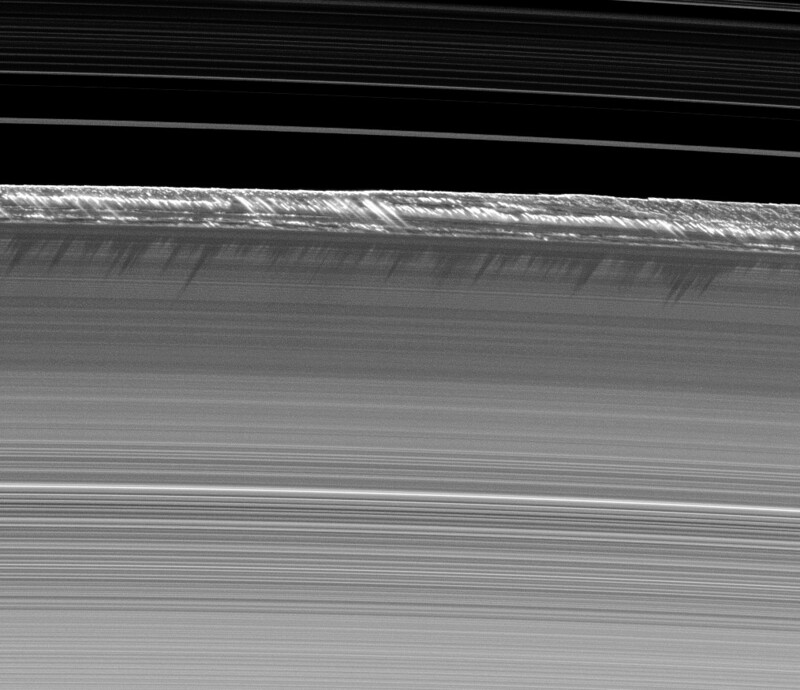 Despite some reservations of visual context to CASSINI data, you have produced an image of great detail and imaginative zest. The image gives a vision of being there despite whatothers may say. Truly fantastic work, well done. I would like to take this opportunity to wish everyone (Carolyn and the whole team) a very Merry Christmas and a Happy New Year. I will say that I have never cared for artists conceptions of astronomical renderings. I don’t feel that they are even close to what the true image would be. With all the imaging we have coming back in our solar system I don’t even see the need for it. If the discussion is about some where that we haven’t been yet I’d much rather wait for a JPG than to have someone’s WAG.